Join the group for a rousing good time – so good you won’t even know you are exercising! A good singing voice is not required but a desire to have fun and keep everything moving is. Monday through Friday from 9:30 to 10:20-ish. Currently there are two active groups that play on Monday and Wednesday. Mah Jongg is a fast-paced game played with tiles and is much like gin rummy. 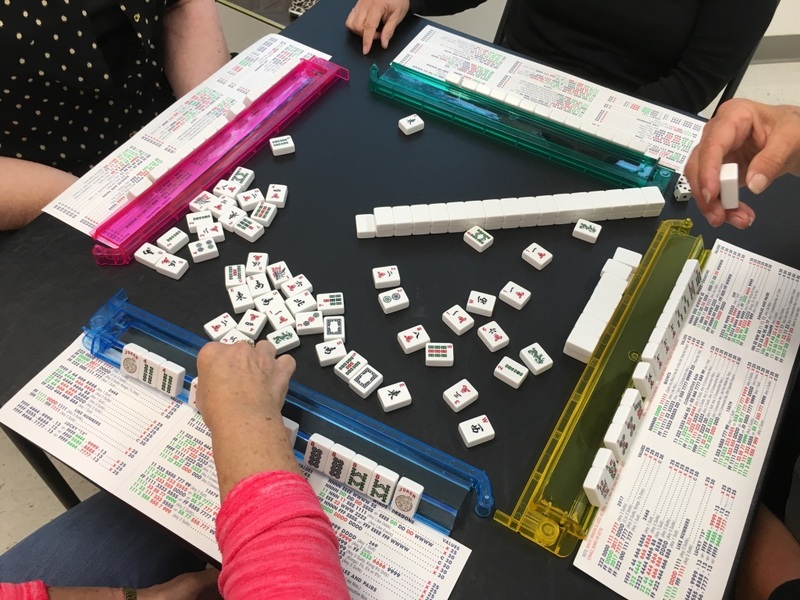 When played by the National Mah Jongg League rules, the types of hands that players atttempt to make changes each year and is always a challenge. Classes are taught for beginners. Another Monday group that starts at 12:30pm. Fast-paced and easy to learn. Pickle Ball is a more active game than Dominos, modeled after table tennis. This group meets Mondays and Fridays at 1 until 3. Singles and Doubles play regularly. Gotta Dance? Then this is the activity for you! This group meets Tuesdays and Thursdays from 9-10:30. 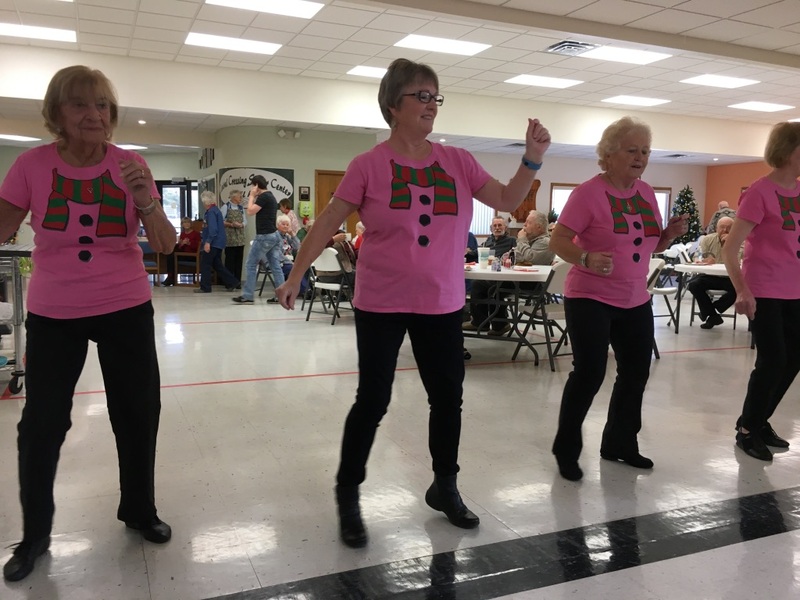 They have a lot of fun while keeping fit busting a move! 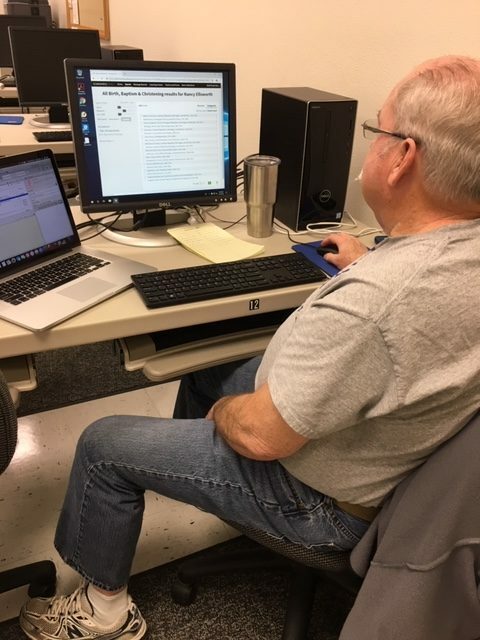 Computer classes are currently being held on the first and third Tuesdays of the month at 12:45 pm. Love to bowl? Yeah, no bowling alley in town, so this is the next best way to keep you hand-eye coordination sharp. Wii Bowling meets every Wednesday from Fall through Spring at 12:45pm. Want to learn to carve critters out of wood? 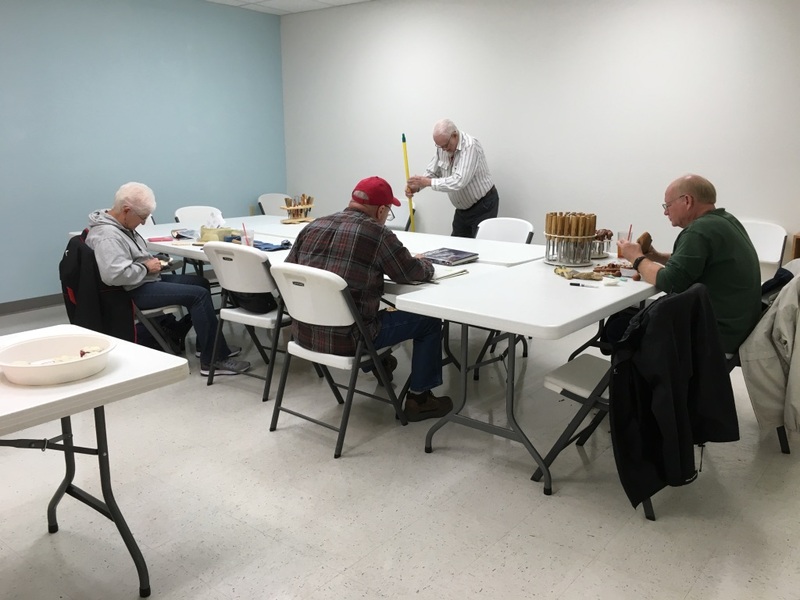 Here is a group that comes together every Thursday from 9 am to 3 pm to learn and teach and enjoy the company of other carvers. Hand & Foot – Wednesdays at 12:30pm-a game similar to canasta that can be played with two or more players. 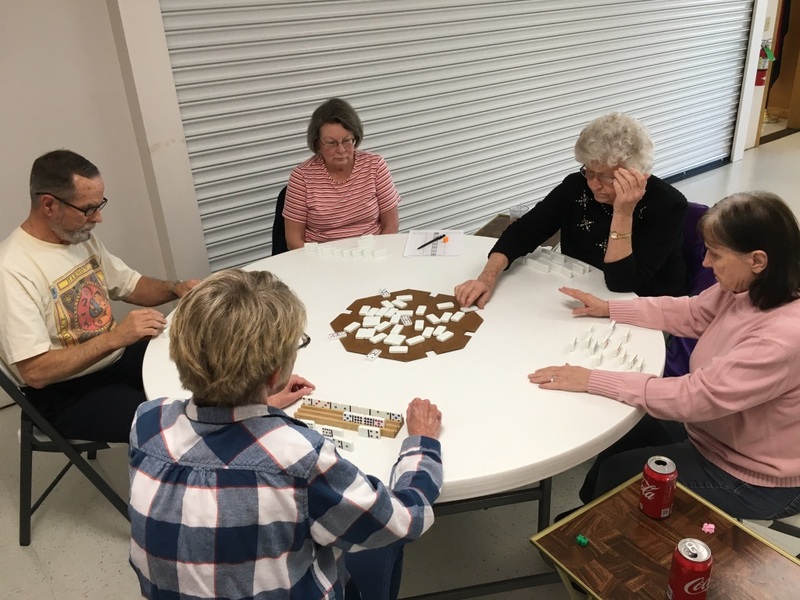 Cribbage – not currently on the schedule but will resume when enough request this activity. 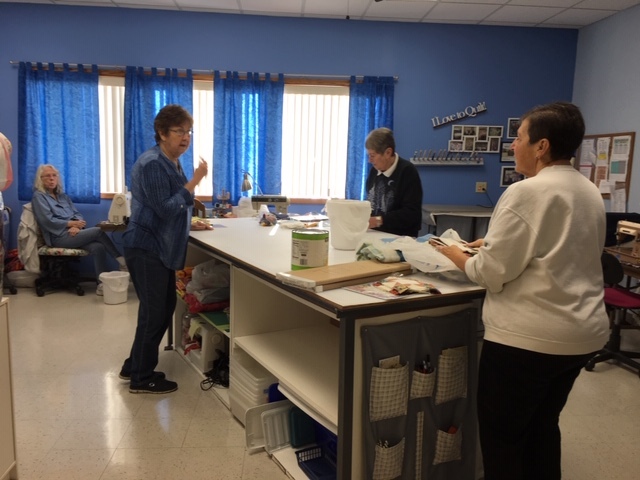 The Quilting 4 Charity group meets Wednesdays and Thursdays from 9 am – 3pm. All the quilts worked on here are given to worthwhile charities. Baby quilts are sold to raise funds for materials. Work for an hour or two or all day. Looking to find your ancesters? This group meets every Thursday in the Computer Lab from 9am – 3pm. Work on your own but have the group available to share stories or to assist with problems. 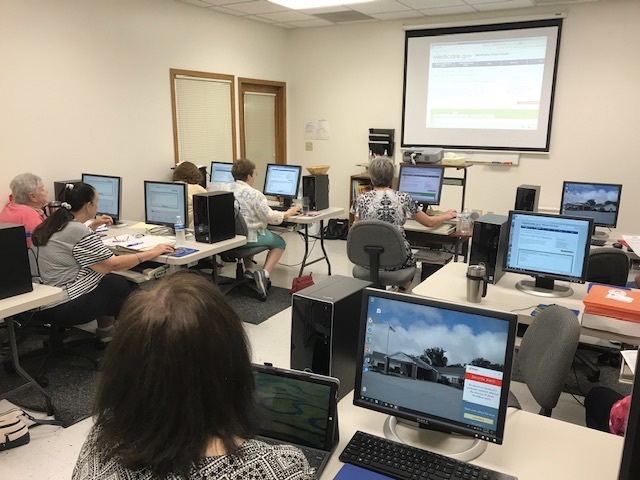 This group organizes field trips to local repositories and an annual trip to Kansas City. Like to play Bingo for practical prizes? and for FREE? This is the place for you! 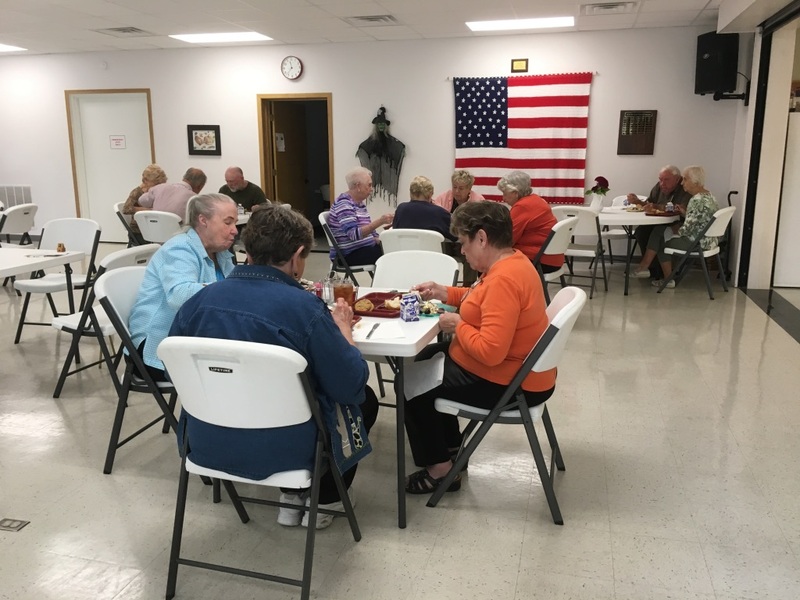 Bingo is held the second and fourth Tuesdays at 12:30.